Before Xcode 9, setting up your project to work on GitHub involved a lot of work. You had to login to GitHub, create a repository, go back to your Mac, launch the Terminal application, navigate to your project directory, and run multiple git commands. Xcode 9 makes working with GitHub much easier. 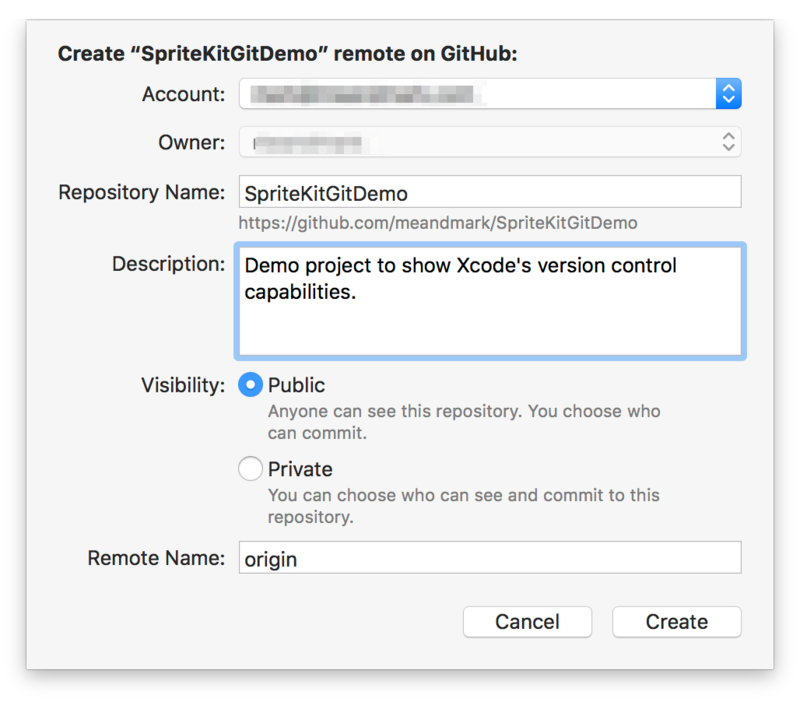 You can add your Xcode project to GitHub without leaving Xcode. Start by going to the source control navigator by choosing View > Navigators > Show Source Control Navigator. Unless you’ve already configured a GitHub account in Xcode, choose Add a GitHub Account from the Account menu. Enter your GitHub account name and password. Click the Sign In button to use your GitHub account for this repository. Choose public visibility unless you have a paid GitHub account. You must have a paid account to create private GitHub repositories. Click the Create button to create the remote branch. Your Xcode project is now on GitHub.